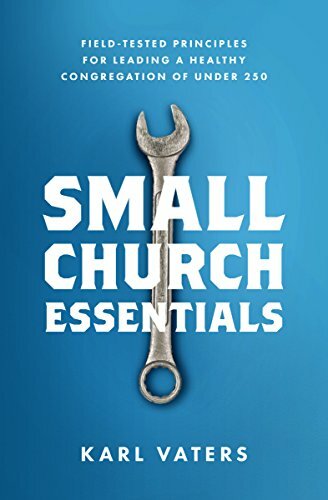 There are a lot of books and articles about how a healthy church should behave. That’s appropriate. We should always have a picture of our desired future in our hearts and minds. But what does a pastor do with an unhealthy church? I’m going to propose a radical idea that shouldn’t be considered radical at all. Unhealthy churches should be pastored differently than healthy churches. Because unhealthy churches aren’t like healthy ones. And acting as though they are doesn’t help them, it hurts them. Someone with two healthy legs is able to stand, walk and jump. But treating a broken leg as if it’s not broken will hurt it, not help it. If the medical issue is serious enough, the patient is put in an Intensive Care Unit to get closer attention. The same goes for churches. Unhealthy churches should be treated differently than healthy ones if they have any hope of recovery. Unhealthy churches should be treated differently than healthy ones if they have any hope of recovery. Some of them need a spiritual ICU. But we don’t usually do that. Too often, we tell hurting, broken, unhealthy churches to start acting like their strong, healthy siblings. Or we tell them how to get bigger, assuming that bigger equals healthier. Then we can’t understand why so many of them stay unhealthy or get sicker. Those are great ideas. If the church is already healthy. But implementing those principles too quickly in an unhealthy church is like trying to run on a broken leg. They’ll harm it more than help it. Some pastoral leadership books and blog posts should come with a warning label: DO NOT ATTEMPT IF YOUR CHURCH IS NOT HEALTHY! It would save many pastors from a lot of unnecessary grief. So what are some of the ways in which an unhealthy church should be treated differently than a healthy one? So much of the current advice about pastoring seems to be about how to pastor less, not more. That might make sense in a big and/or healthy church. But in small churches it can cause distance and distrust. And in an unhealthy church it can kill the patient – or the doctor (sometimes both). An ICU has more doctors per patient than a standard hospital room. It’s only when the patient becomes healthier that they receive less attention from health care professionals.